Only one Carnotaurus fossil has been found so far: in Argentina by palaeontologist Jose Bonaparte in 1985. Amazingly, most of the skeleton, its skull and skin impressions were unearthed. A discovery this detailed is extremely rare in palaeontology.Carnotaurus’ spindly forearms were just 0.5m (1.6ft) long, which would have been tiny compared to the rest of its body; far shorter than Tyrannosaurus forearms. Each arm could not even touch the other, so clapping would have been out of the question. 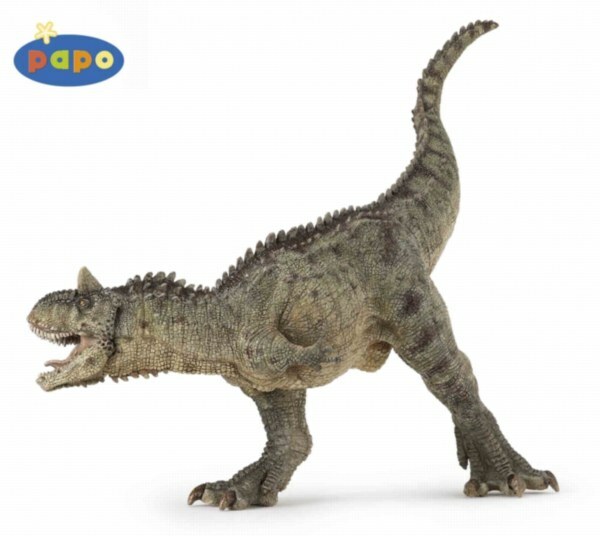 Carnotaurus was part of a group of dinosaurs known as the abelisaurs. These were theropod dinosaurs with bony crests and horns, found only in the southern hemisphere. Other abelisaurs include Abelisaurus and Majungasaurus. Carnotaurus had a less powerful bite than T. rex, but its vaulted skull made it snappy like a turtle. Carnotaurus could have gripped victims securely in its backward-curving teeth. From a fossilised skin sample, scientists have found that Carnotaurus had small pebbly scales over its body with large, conical scutes (bony plates) forming rows along its side. 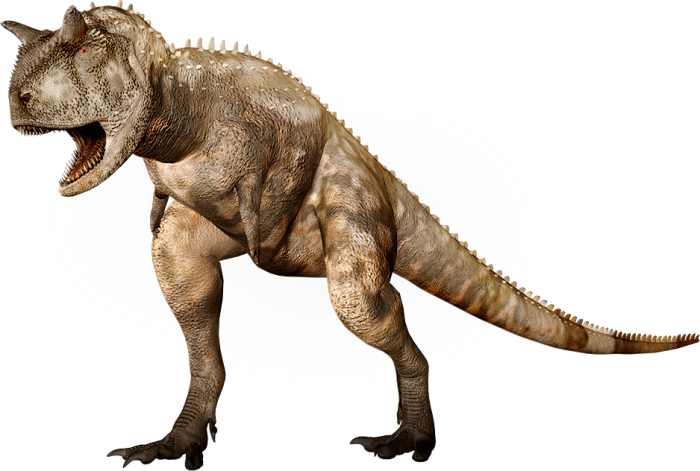 Carnotaurus eggs are assumed to fit the usual theropod pattern: bird-like in shape, measuring between 10 and 15 cm (4-6in) long and with a shell a couple of millimetres (0.07in) thick. Carnotaurus had bull-like horns on its head. Males might have used these to fight other males over territory and females. 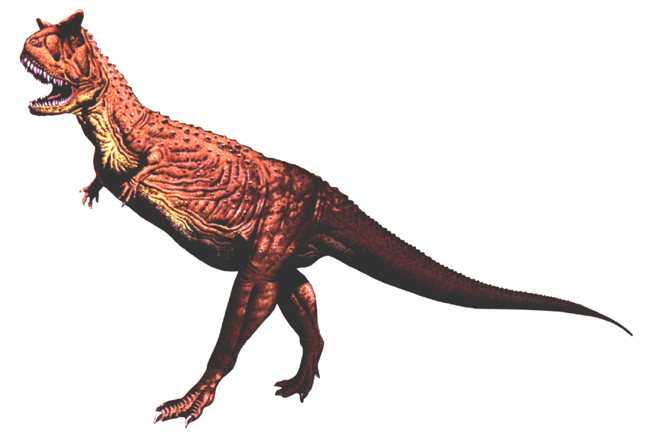 Carnotaurus would have had a reasonable IQ for a dinosaur – possibly well within the upper margins. The theropods were the most intelligent group of dinosaurs.